Daytime Emmys 2017: The time has come for the biggest night to honor the excellence in American day-time television programming. Here, we are bringing you the option to watch online 44th Daytime Emmy Awards live streaming 2017 for free & the list of winners too. The live feed video is available on the page. You may have some more questions regarding the ceremony. We will try to provide some more information. 2 Who are the Hosts? 4 Who is Receiving a Lifetime Achievement Award? Check: Met Gala 2017 Live Stream. As updated by the National Academy of Television Arts & Sciences (NATAS, the Daytime Emmys is set to take place on April 30, 2017, Sunday at 8 pm ET. The entire award ceremony is to be live streamed on Facebook Live and Twitter Periscope. However, for your ease, it will be made available at the time of the ceremony. The Daytime Creative Arts Emmy Awards has already been held on April 28, Friday. Watch: WWE Payback 2017 Live Streaming. The 44th Daytime Emmy Awards is going to take place at the Pasadena Civic Auditorium in Pasadena, California. This year, Mario Lopez and Sheryl Underwood will host the show. Lopez has been hosting the entertainment news series EXTRA as well as he has appeared on daily soap opera The Bold and the Beautiful as Dr. Christian Ramirez in 2006. Underwood is also a co-host of The Talk and he has acted in soaps like The Young and the Restless and B&B as Clarice Collins and Emmy respectively. According to NATAS, the live streaming of Daytime Emmy Award 2017 will start at 8 pm ET on Twitter Periscope Producer and Facebook Live. The same will be made available here. Along with the above two hosts, General Hospital’s Carolyn Hennesy will host the red carpet pre-show and special visits to the Emmy Gifting Suites. All of them will be live streamed. So, there is no need to worry if you can’t make up yourself to the venue. You can still enjoy on the go. Who is Receiving a Lifetime Achievement Award? The producer of the legendary game shows Jeopardy and Wheel of Fortune, Harry Friedman has been selected to be honored with the Creative Arts Emmys this time. The former host of Entertainment Tonight, Mary Hat will bag the LAA on Sunday. A special tribute has been planned for Agnes Nixon, the creator of All My Children and One Life to Live. Nixon passed away last year. 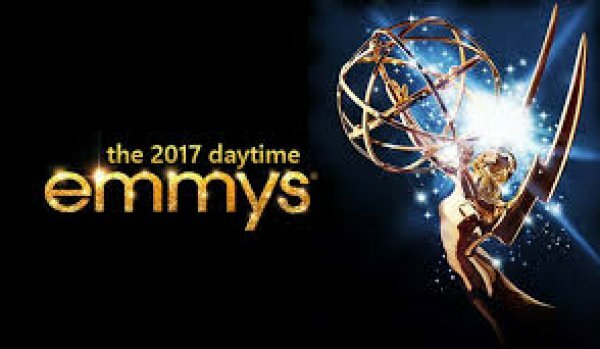 The list of 2017 Daytime Emmys winners has been updated. Stay tuned to TheReporterTimes.com for latest award shows’ news and other entertainment industry updates.